Have you been looking into buying a camper for your next family adventure, but do not have a truck to pull it with? If so then you needed to head to your local Wisconsin Airstream dealer and see one of the many new and used Airstream trailers for sale near Milwaukee, WI. Ewald’s Airstream of Wisconsin is known for having a large selection of new and used Airstream trailers for sale near Milwaukee, WI. Here at Ewald’s Airstream, we understand that each person that walks through our doors will have different wants and needs. Which is why we have a team of people who are happy to answer any and all questions you may have about one of the many new and used Airstream for sale. 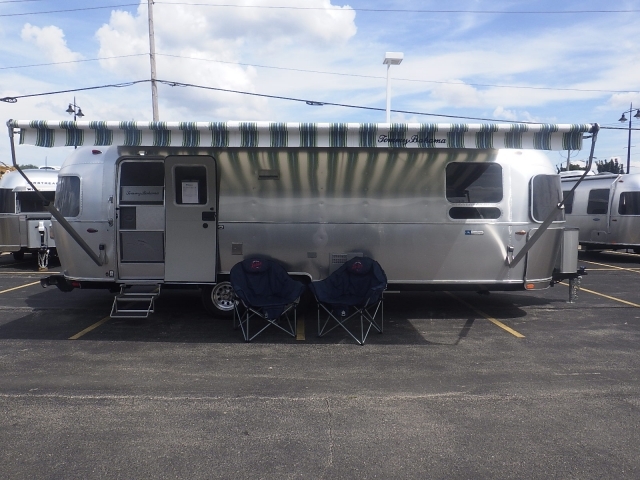 With a large selection of new and used Airstream for sale, we have something for everyone including a variety of Tommy Bahama Airstream trailers for sale. The Airstream Tommy Bahama is sure to make you the place to be and the life of the party, no matter where you go. Not only that but with the Airstream Tommy Bahama comes with many features that make it the perfect long-term traveling companion. This Airstream travel trailer is ready to whisk you off to an Island paradise with wood blinds, shuttered lockers and warm wood tones that make it feel like you are living in a beach bungalow. Beach-inspired decor such as leather drawer handles, colorful fabrics and Tommy Bahama wall graphics create a cohesive look that will transport you to an Island in the sun. This Airstream for sale also comes with plenty of counter-top space and high-end appliances that will make preparing and serve your favorite meals a breeze. Take your party outside and enjoy the soft ocean breeze under your one of a kind Tommy Bahama awning. A Complementary cooler with the Tommy Bahama symbol and outdoor chairs make your Island getaway even more special. Never worry about feeling cramped and cluttered in your Airstream trailer, because the Tommy Bahama was created to maximize space and minimize waste. There is storage in every corner of this travel trailer so that there is a place for everything and everything has a place. If you love to entertain, then this Airstream travel trailer for sale is perfect for you. A backlit bar with a built-in chiller for keeping drinks cold will make your Airstream camper the place to be. Escape to paradise no matter where you are with a complementary Tommy Bahama accessory kit, which includes Tommy Bahama inspired glasses, bottle openers and a candle. Not only that but this Airstream trailer for sale is ready to take you to the beach, with a specialized rear hatch you can wake up to the sound and breeze of the ocean. When it comes to Airstream trailers for sale, you can count on them to last longer than its boxy competitors, and with its lightweight and sleek design, you will not even feel the impact at the pump. 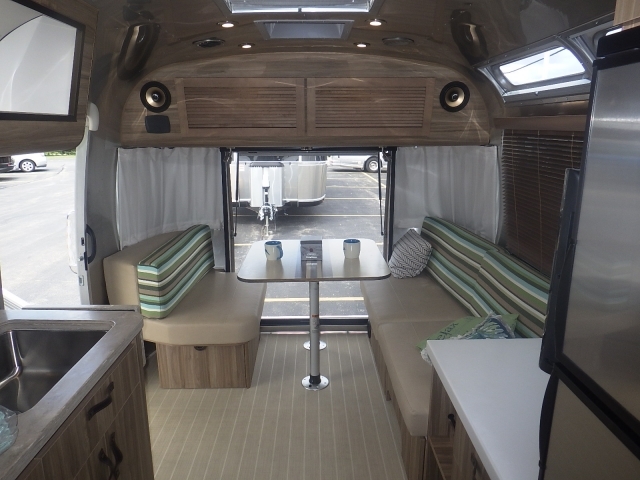 Come to your local Airstream dealer near Milwaukee, WI and see the all-new Airstream Tommy Bahama for sale near you. When you are looking for Airstream for sale, come Ewald’s Airstream of Wisconsin at 6269 S 108th St, Franklin, WI 53132.